Located in the Northern border of Vietnam, Lao Cai is well-known for its pristine beauty of the Northern mountains. 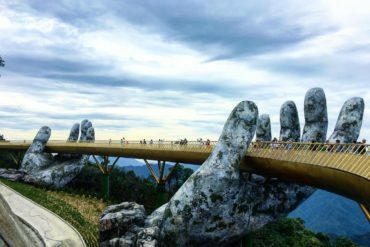 In addition to the stunning landscapes, this place is also home to many historical attractions and unique cuisine with the cultural characteristics of many ethnic groups. Lao Cai is 296 km from Hanoi by rail and 265 km by road, and visitors usually travel to Lao Cai by train and bus. 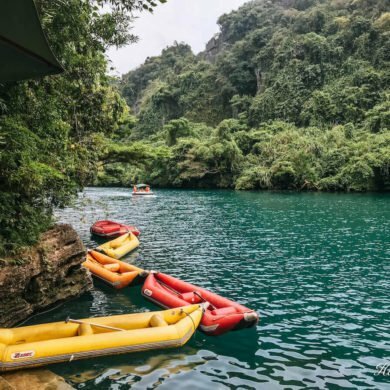 This article is a complete transportation guide from Hanoi to Lao Cai by train and bus, including departure schedule, ticket fee, and guides to buying online bus tickets. 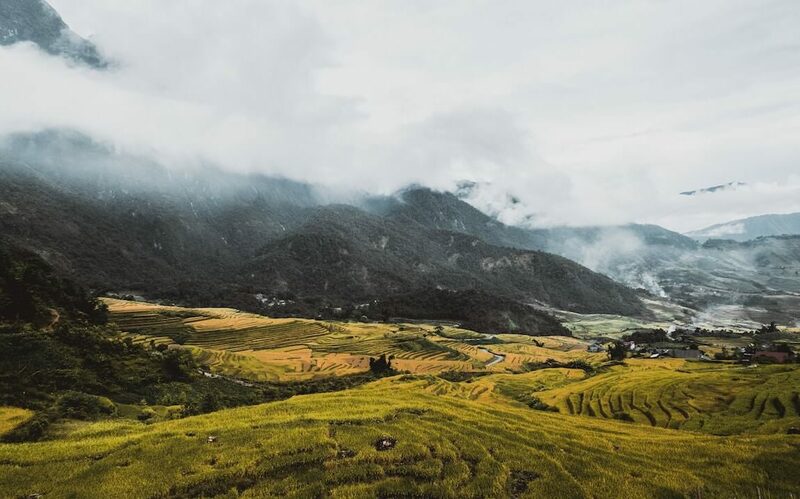 The train to get from Hanoi to Lao Cai is similar to train from Hanoi to Sapa because Lao Cai station is the final destination. 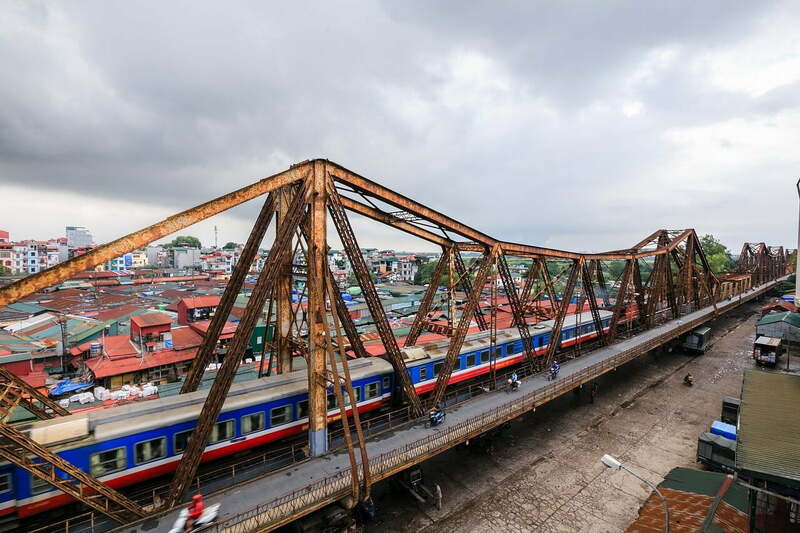 Vietnam Railways offers daily trains to Lao Cai from the capital and the journey takes approximately 8 hours. If you’re looking for a more comfortable journey, you can choose the private cabins, which are offered by Livitrans, Violette, King Express, Fanxipan Express, Sapaly Express, and Victoria Express. 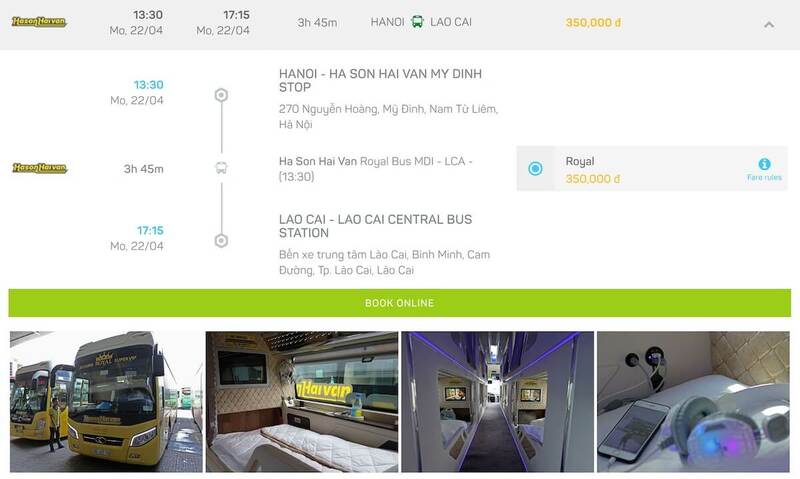 For private trains, the ticket price starts at 740,000 VND, which is around $32. Each cabin has 4 beds and you can select your bed while booking ticket online. 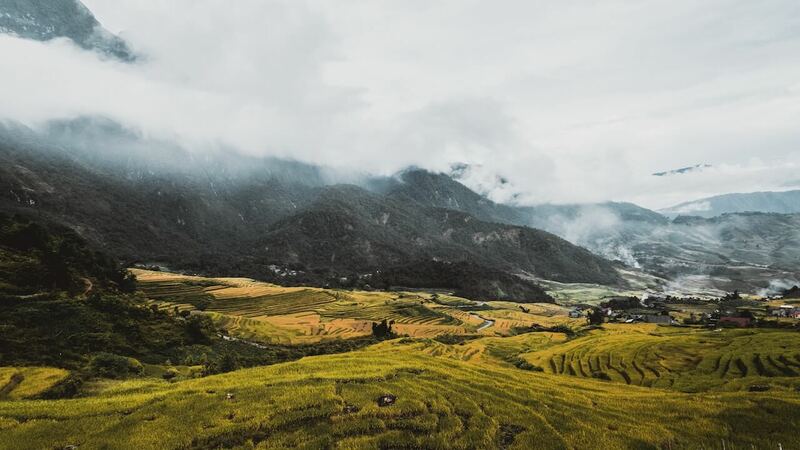 If you’d like to visit Lao Cai, you can take a direct bus from Hanoi to Lao Cai with Hason Haivan. There are several buses running for this route. The journey takes 4 hours, and it costs $10 for a sleeper bus and $15 for a special cabin sleeper bus. 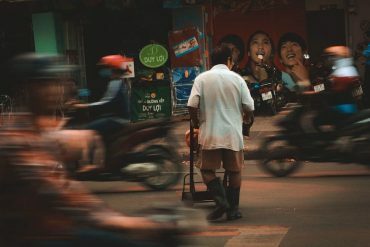 Hanoi – My Dinh bus stop: 270 Nguyen Hoang, My Dinh, Nam Tu Liem, Hanoi. 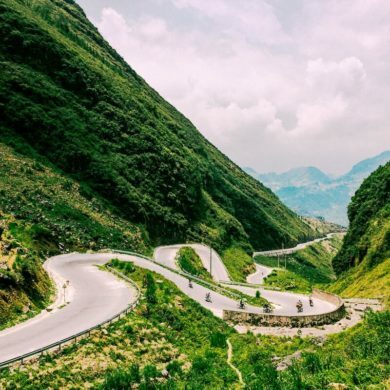 You can easily search and book online tickets to Lao Cai with Baolau, a recommended travel company connecting transport providers with users. By choosing the date, you can see the available options including the departure schedule and travel time, along with ticket fee. When you finish your booking, you will receive a confirmation by email. Please read the ticket notice below for more information. 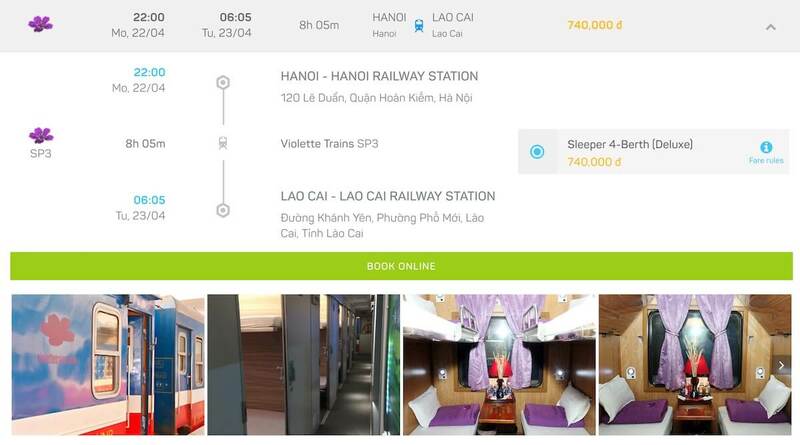 For bookings with Vietnam Railways and private railway companies New Livitrans Express and Violette Train, you will receive your e-ticket by email, ready to print and present when boarding the train. For bookings with private railway companies such as Victoria Express, Fanxipan Express, King Express, Orient Express, Sapaly Express, and Chapa Express, you will receive a voucher by email to collect the physical ticket at the station before boarding the train. 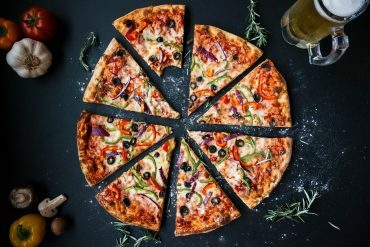 Disclaimer: This article may contain affiliate links. We receive a small commission at no cost to you (usually with discount) when you make a purchase using some of the links.